The explosion of social media has taken us all by surprise, says Stephen Maher, MBA chief executive – but approaches to measurement are ‘not as refined and rigorous’ as one would hope. Speaking at MRS Annual Conference yesterday afternoon, he said: “Likes, retweets, followers are not necessarily effective metrics” – and this presents the research community with an opportunity to step in. The watchword for the ‘Counting fans is not enough’ session was ‘collaboration’ – across teams, departments, and industries. The session appeared under the banner of the #ipasocialworks – a multi-industry group which aims to provide guidance on the theme of ‘measuring not counting’; on how to measure the commercial value of social media – campaigns, advertising or customer satisfaction. 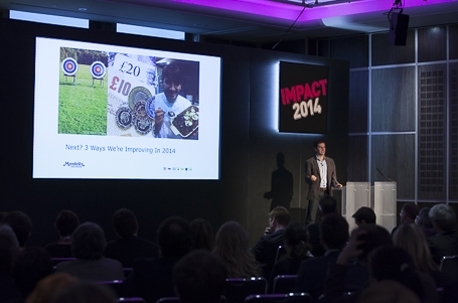 Rob Ellison, media manager at Mondelez, talked through their Cadbury’s Crème Egg campaign. By exposing their 2.5 million Facebook fans to a wide range of ads and images, Mondelez was able to identify what worked and what didn’t, and choose the right creative on which to spend their media budget. The conclusion? Use social media to “put your money behind content that works” and think about measurement at the start of the campaign – “it’s never too early” says Ellison. Social media insight held back by "people issues and mindset"